In mid-September I took a trip to Ireland. I attended a conference in Dublin and following that, toured around for another six days before heading home. On day three I found a local yarn store called The Constant Knitter. It’s on Francis Street, a part of Dublin that was on my way home every day! To celebrate the spirit of local, I wanted to buy some locally made Irish wool to make something that will remind me of my trip. 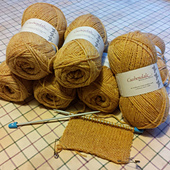 The only locally milled yarn that was made with a good percentage of Irish wool that she carried, was Cushendale Woollen Mills. There were all kinds of colours, but I fixated on “Butter”. A gentle, warm yellow with wee shots of orange in it making it ever so slightly heathered. I had no idea what I wanted to make, just that I wanted to make something memorable. Long story short, before long I settled on 7 balls of yarn – 100 g and 200 m. Giving me a total of 1,400 m of yarn to work with. Whatever the pattern. So the search for the pattern started. By this time I had convinced myself that I would make an Aran style sweater – which is quite an interesting thing as I hardly ever make sweaters. And those I made for myself, didn’t end well. 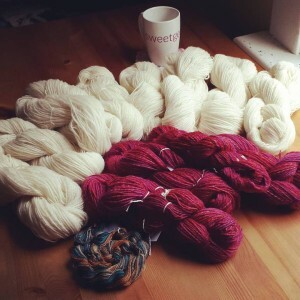 Ravelry has a fantastic search engine. I put in the amount of yarn I had, the yarn weight, the kind of sweater I had in mind, and before long I had several pages of options to explore. During my time in Ireland I viewed them (easy to do as there is free-wifi just about everywhere, even on the tour buses) and made my decision when I came home. Glenfiddich by Annamaria Otvos. That’s it at the top of this post. Have a closer look at it on Ravelry by clicking on the name. The following posts will be progress posts on this cardigan. 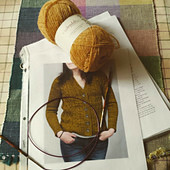 I am knitting at the far edge of my knitting skills, but thanks to Ravelry – an amazing knitting community, and a designer who answers questions with photographs to help you figure out how to pick up stitches. I will get this done. This entry was posted in Uncategorized and tagged Aran style, Glenfiddich, knitting on October 31, 2015 by DianaTwiss. I was going to spin for a project or two. 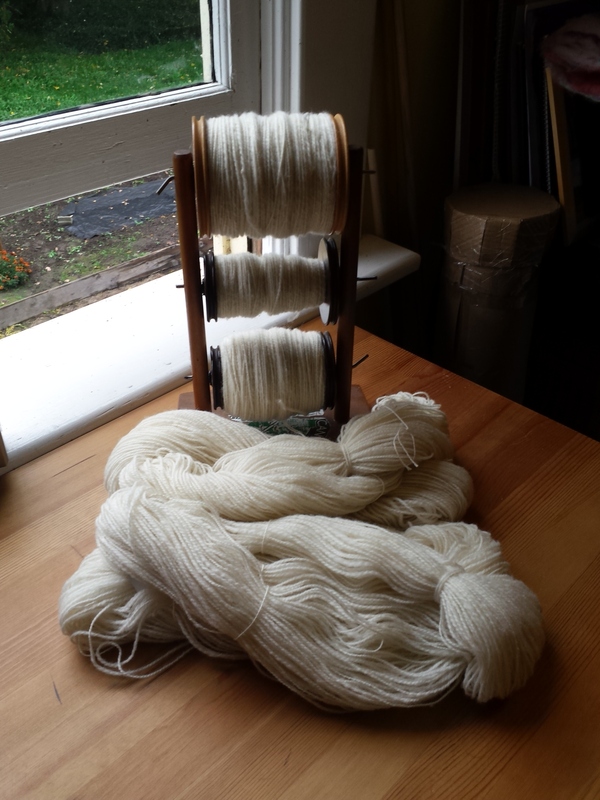 You make an enormous amount of yarn when you do nothing but spin for an entire week. This was a good chance to spin for a blanket or a sweater. I wasn’t going to kill myself or make my life miserable. I was just going to spin whenever and where ever I could and hope I’d at least match my total from 2014 – 6,574 yards. So with those decisions made, I set out to get my fibre ready. First this was to card all the rest of the beautiful, white Targhee wool I used in the Blanket Project post. 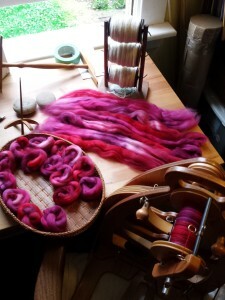 Over a couple of days I made 15 – 50g batts. That’s a decent amount of fibre. 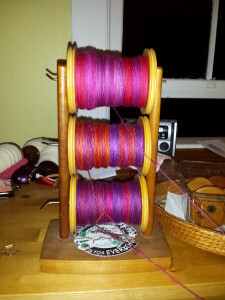 I would spin this in the same way I spun for the Blanket Project, with the goal of making my own blanket – warp and weft. I also rooted through my fibre stash from the Sweet Georgia Fibre Club and came up with three braids that looked a lot alike. Not exactly, but all three had purple, a fushia and a strong red in them. 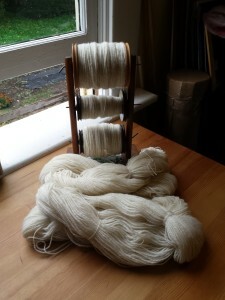 I decided that I’d spin each on fairly fine and make a three-ply yarn. Twelve ounces of fibre, that would make a decent amount of yarn. Here are all three being plied on the evening of day #7. From top to bottom: Open Hands, Modern Mandarin, Bougainvillea – all from Sweet Georgia Yarns. 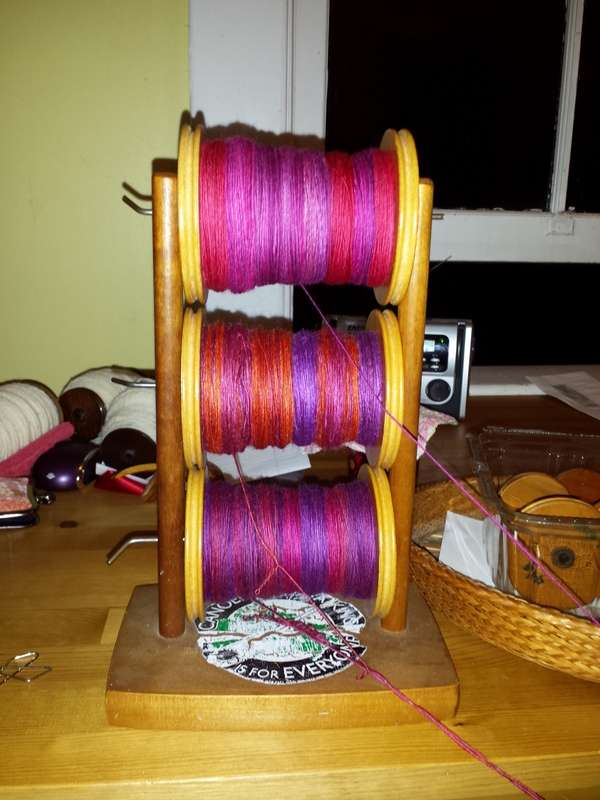 Word of warning: plying three bobbins that were recently spun is a recipe for disaster. The twist in the newly spun singles was fresh and quite active. I wasted a lot of time untangling things. In hindsight, I should have spun these three braids first, then all the white wool. 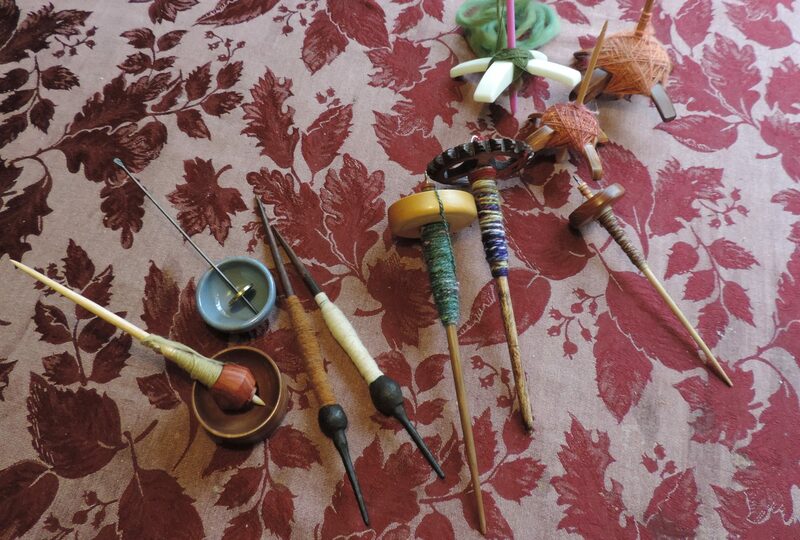 That way these bobbins would have rested for at leave five days before plying and wouldn’t have been such a nightmare. And here is the final result. 8,627 yards, that’s 4.9 miles. That’s a lot of yarn. That small blue and gold skein is 185 yards of singles from my spindle. I took it to work with me on day #3 and got a lot done during a 2.5 hour meeting. This entry was posted in Uncategorized on October 16, 2015 by DianaTwiss.